Plenti+ Nursing Pillow - Let's Flip Again is rated 4.9 out of 5 by 19. Mealtime is made easier for every mama using the Ingenuity Plenti+™ Pillow. The Relax-Fit design aligns with most body shapes to help offer support for both mom and baby. Crafted with the help of a certified Lactation Consultant this pillow was created to make nursing and bottle feeding comfortable. Its simple design acts as a positioner that helps keep baby in place. During those late-night snuggles or early-morning fusses, the visual tabs of our Breastside Reminder™ System help remind you which breast you fed from last. Nursing from the fullest breast helps promote the healthiest feeding opportunities for your newborn. The pillow material is also water-resistant to keep all the little accidents from leaking into places they don’t belong. As your little one grows, the pillow can be also used for lounging, tummy time and sitting support. Rated 5 out of 5 by Eli13 from Love this product I received this product to review a few weeks ago. I loved it, it is soft enough for my baby yet firm enough to provide support. I use it to nurse my baby, my baby naps on it and will use this for support when she reaches the sitting stage or tummy stage. Would recommend to a friend. The nursing feature is awesome, it helps me keep track of which side to use at the next feeding. Rated 5 out of 5 by benzitup from These pillows are really a necessity! 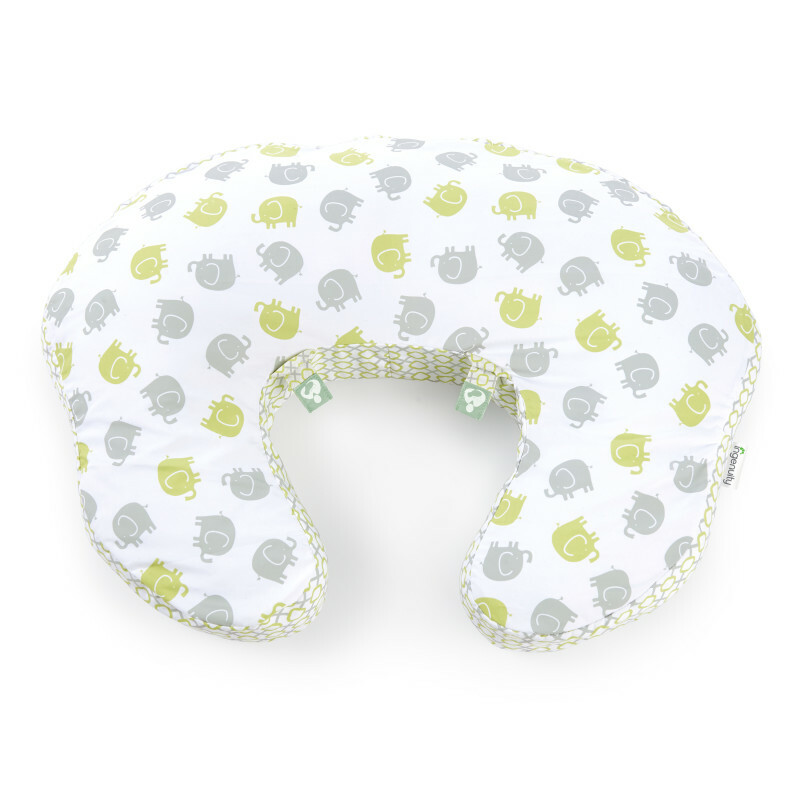 This nursing pillow has a super cute removable cover. The pillow is light weight, conforms to your mid section easily and has great support for the baby. This is made of great quality. These pillows are really a necessity! I would recommend it to every expecting and new mom! Rated 4 out of 5 by 2TotsMom from Excellent material This boppy pillow is sturdy and made of high-quality material. My little one has sensitive skin, and even gets irritation from certain cloth materials. However this was smooth and irritant-free. It was supportive enough to keep my child from rolling out of position. The only drawback is that it is too firm, but I am hoping that it softens a bit with usage. Additional plus - super easy to clean! Rated 5 out of 5 by KT11 from Looks great and very comfortable I am not due until May 2, so I haven’t put the item to use yet, but what I will say is we’ve received multiple nursing pillows and this is the one we are keeping and planning to use. It is not only very cute, but seems to be the most comfortable, functional, and best quality. We’ve returned all the others and are looking forward to using this one. Happy to update my review when baby comes! Rated 4 out of 5 by Kerik from Versatile Takes a little getting used to but seems like it works great! Rated 5 out of 5 by Alex2187 from Perfect for assisted sitting! This pillow is so handy. We use it for assisted sitting for our 5 month old and it works so well. It’s lighweight, but sturdy filling to help baby stay upright. When used for breast feeding, it’s very comfortable for mom too. Rated 5 out of 5 by Kaebellasmom13 from Comfort I got this via lots of recommendations online, I love the light gender neutral color and the elephant design. Has sturdy feeling compared to other breast feeding pillows. I love the nursing reminder tabs, so convenient, can't wait till baby boy is here! !